Pike Place Market Flower Festival, May 12-13; Mom and Me at the Zoo, May 12; Seattle Waterfront Mother's Day, May 13; Mother's Day, Cedar River Watershed, May 13. It’s all about Mom this weekend, with lots of activities to get out, enjoy spring and celebrate the moms in your life. Head to one of Seattle’s favorite places for the 10th annual Pike Place Market Flower Festival to shop for flowers, produce and specialty products from more than 40 Washington state farmers on Saturday and Sunday, May 12-13. Tents set up on Pike Place’s cobblestone street open early to showcase the farmers’ abundant selection of tulips, daffodils, irises, peonies and other spring beauties in fresh bouquets to treat yourself and your mom. Mom and Me at the Zoo hosts special activities and half-price admission for moms at Woodland Park Zoo on Saturday, May 12, a good time to check out the recently opened Assam Rhino Reserve. Point Defiance Zoo and Aquarium also offers half-price admission for moms and activities on Saturday, opening day of the Budgie Buddies bird-feeding exhibit. For a fun day out with Mom, the Seattle waterfront is offering free parking at four venues on Sunday, May 13, with a voucher honored at 21 restaurants, stores and attractions, including the Seattle Aquarium and the Great Wheel. For moms who love the outdoors, Cedar River Watershed Education Center in North Bend invites everyone to celebrate all the mothers in our lives and the wild ones in the watershed, with tea, coffee, snacks and a stroll on Sunday, May 13. The Cedar River Watershed’s 90,500 pristine acres supply drinking water to the Seattle area and protected forest habitats for many species of fish and wildlife. 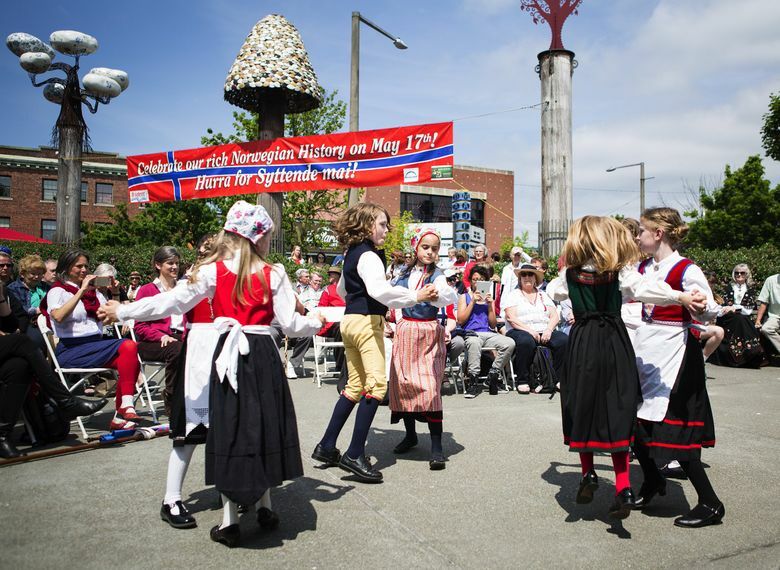 Next Thursday is one of Ballard’s biggest days of the year, Syttende Mai, the annual May 17 celebration of Norwegian Constitution Day. Events throughout the day include music and dancing at Bergen place, kids events and free admission at the Nordic Heritage Museum and more, leading up to the day’s big event: a parade that draws thousands of spectators, with marching bands, Norwegian American lodges, drill teams, classic cars and more.